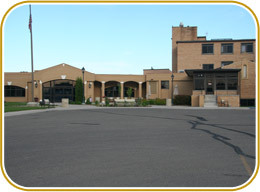 Bethel Lutheran Nursing & Rehabilitation Center, Williston, North Dakota exists for the primary purpose of providing Christian Care in its truest meaning - ministering to the physical, spiritual, and emotional needs of each person, not merely as a professional service, but as a work of love and mercy. Thus, we minister to people in the name of Christ by recognizing each individual as a child of God. Bethel Lutheran Nursing & Rehabilitation Center welcomes you to our Web Site. Bethel is proud of its rich history of providing quality Christian care to the people of our region. Through many years of continued service, Bethel has grown to become one of the largest nursing facilities in North Dakota. Incorporated in 1948, our tradition of care began July 10, 1951 with the admission of our first resident. Bethel has experienced numerous expansion and renovation projects throughout the years. In 2002, we converted to a neighborhood like setting. 1948 - Bethel Lutheran Home was incorporated. 1951 - Bethel Lutheran Home welcomed our first resident. 1985 - Bethel Lutheran Foundation was founded through a gift from Floyd and Myrtle Stewart. 2001 - Renovations include a "Main Street" with ice cream parlor, beauty shop, library, and Chapel. We extended our therapy services to better serve our residents. 2009 - We changed our corporate name from Bethel Lutheran Home to Bethel Lutheran Nursing and Rehabilitation Center to better reflect the services we offer. 2010 - Opening of Bethel Assisted Living Center, now named Arbor House.